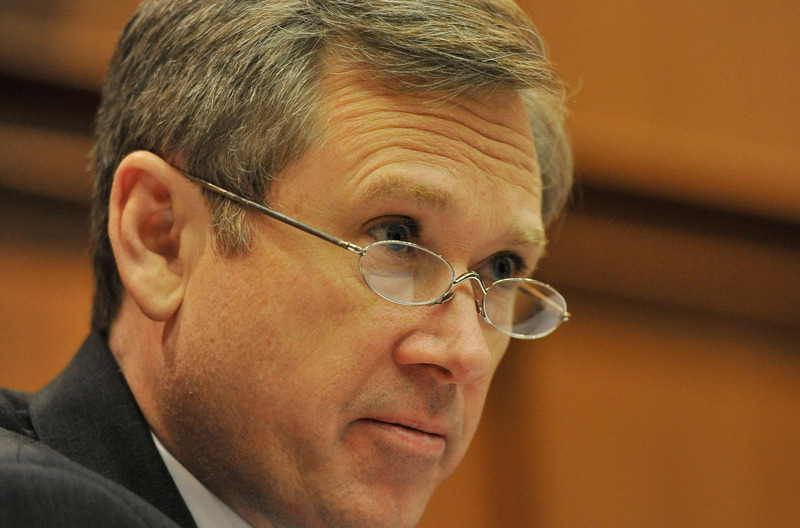 Sen. Mark Kirk of Illinois will become the first GOP senator to meet with President Obama's Supreme Court nominee Merrick Garland, a White House official confirmed Friday. Kirk will meet with Garland on Tuesday, which was first reported by The Chicago Sun-Times. Other Republicans have expressed a willingness to meet with him, but have not yet scheduled anything. Garland, 63, is also scheduled to meet with Democratic Sens. Joe Donnelly of Indiana and Ben Cardin of Maryland on Monday, and Al Franken of Minnesota and Kirsten Gillibrand of New York on Wednesday. Since President Obama nominated Garland last week, the nominee has met with five Democratic senators including Senate Minority Leader Harry Reid of Nevada, Judiciary Committee Ranking Member Patrick Leahy of Vermont as well as Sens. Chuck Schumer of New York, Bob Casey of Pennsylvania and Amy Klobuchar of Minnesota. A week ago, Kirk, who faces a tough reelection fight, became the first Republican senator to break with the rest of his conference to call for an up-or-down vote on Garland, according to reports. Kirk told a Chicago radio station that his colleagues should "just man up and cast a vote." Earlier this week, another GOP senator, Sen. Jerry Moran of Kansas, said his colleagues should consider Garland's nomination. "I can't imagine the president has or will nominate somebody that meets my criteria, but I have my job to do," Moran told The Garden City Telegram. "I think the process ought to go forward." On Thursday, Vice President Joe Biden slammed Republicans for refusing to consider Garland and give him a confirmation hearing and vote. He warned that Republicans are setting a dangerous precedent. "What Republicans senators say they will do, in my view, can lead to a genuine constitutional crisis, born out of the dysfunction of Washington," Biden said at Georgetown University's law school. A CBS poll released Tuesday found that 53 percent of Americans want the Senate to hold confirmation hearings for Garland.